This week we are holding a Private Columbus Day Sale exclusively for the subscribers of our mailing list! You will get a 20% discount on your purchase if you enter the code SRTQAL when placing an order! The sale lasts one week, until 11:00 PM EST on Monday, October 10, so be sure to take advantage of it! This week, we're beginning to accept entries to our annual Best Project Contest, now in its 8th year. Anybody can enter for a chance to win up to $500 worth of our designs! See our Best Project Contest page for more details. 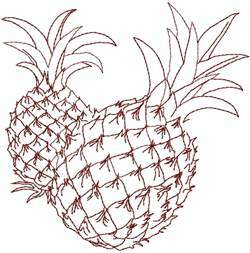 Our Free Design has been updated this week with the Pineapples in the Redwork technique. 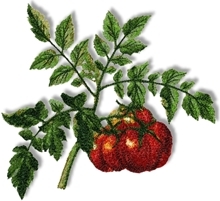 If you are interested in Redwork but haven�t had a chance to try it, this is a good opportunity to do so. New this week is the Autumn Leaves Applique and Cutwork Set. 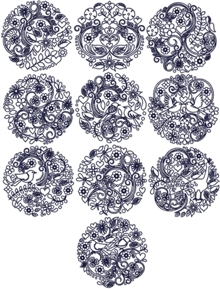 These charming designs are great for embellishing many types of projects, like table linen, curtains and quilts. 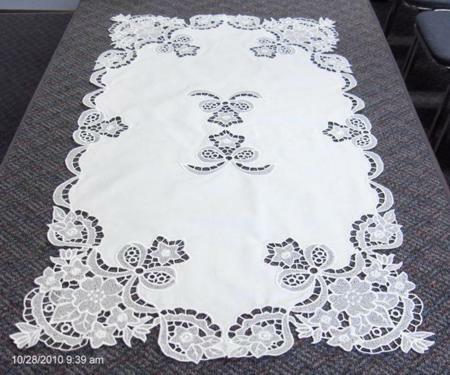 You can embroider the patterns as they are, or turn them into stunning lace inserts! See our website for pictures. The new design Tomatoes is done in our popular Photo Stitch technique. The design is excellent for decorating kitchen items or for garden-themed projects. Photos on the design�s page show how we used it on a towel. The Redwork Flower Coaster Set features ten circular patterns. They�re lightweight and quick to embroider, which makes them great for embellishing all kinds of items, including T-shirts and sweatshirts, towels and placemats, table runners and quilts. Of course, they�re perfect for coasters. We explained how to make Embroidered Coasters in a new project on our webpage. Embroidered coasters are an attractive and practical piece of home decor. They're also very simple and quick to make. A matched set can make an excellent gift.